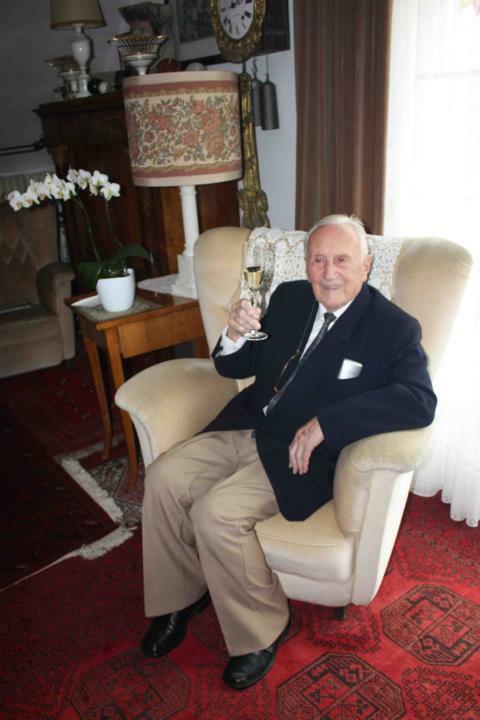 Ernst Blumentritt celebrates his 100th birthday. Photo courtesy of Lucien Spittael. Ernst Blumentritt is the only living grandson of Dr. Jose Rizal’s most important and closest European friend, Ferdinand Blumentritt, whom Rizal regularly addressed as “mein bruder” (my brother) in their correspondence. His full name is Ernst Ferdinand Marian Blumentritt. He was named Ferdinand after his father and grandfather and Marian in reverence of his godfather Mariano Ponce. In deference to this wonderful man’s great age and at the express wish of the celebrant, only two non-family guests were invited to his birthday celebration: Dr. Fritz Hack-Ullmer, great-grandson of Pastor Ullmer with whose family Rizal stayed while in Wilhelmsfeld, and myself. 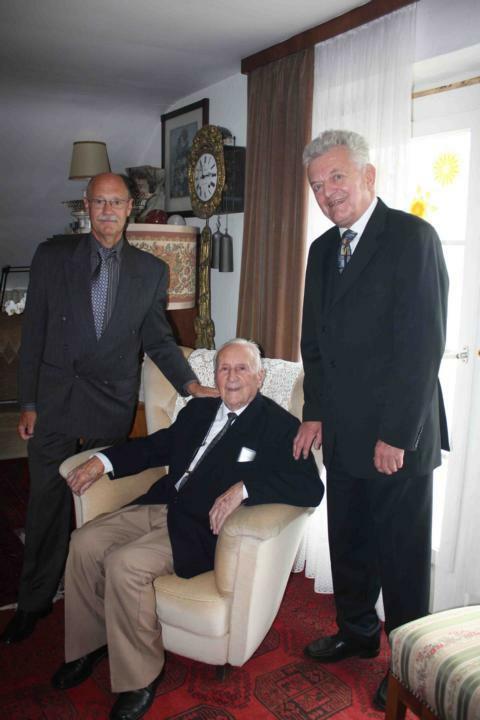 Mr. Ernst Blumentritt celebrated his 100th.Birthday on 8.June 2011. We looked forward greatly to being reunited once again with our good friend, as we previously visited him twice each year. A collection of photographic streetscapes of Blumentritt Street in Manila—the railway station, LRT station, church, police station, pawn shop, plastic shop etc.—which I had taken during my Manila visit in February of this year. A photograph of the Blumentritt family showing his great-grandfather. He had never previously seen his great-grandfather in a photograph. Two works published by his father. He had not previously owned a copy of these works. Dr. and Mrs. Fritz Hack-Ullmer also presented some special gifts with which Mr. Blumentritt was very pleased. 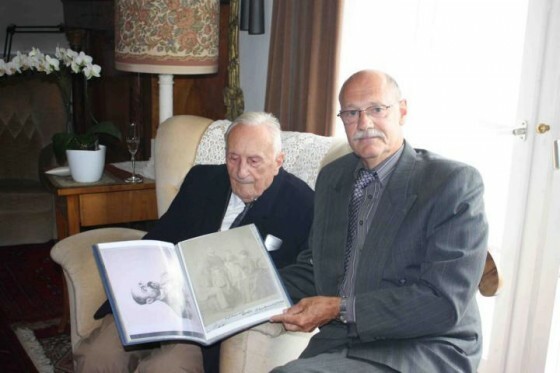 Ernst Blumentritt and Lucien Spittael, holding a folder with Blumentritt memorabilia. Photo courtesy of Lucien Spittael. Lucien Spittael, Ernst Blumentritt, Dr. Fritz Hack-Ullmer. Photo courtesy of Lucien Spittael. From Mr. Blumentritt’s residence we drove to an exclusive restaurant where a sumptuous celebratory meal had been arranged by one of Mr. Blumentritt’s nieces. 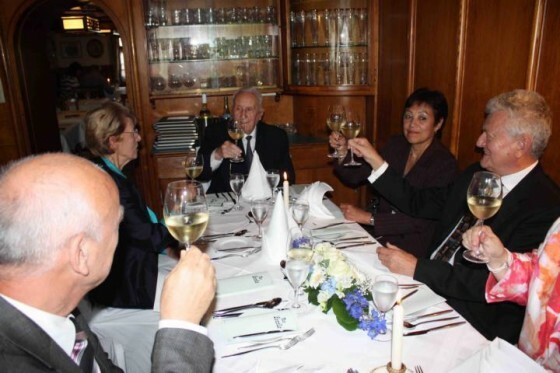 Mr. Klug, Mrs. Hack, Ernst Blumentritt, Mrs. Spittael, Dr. Hack (Not in photo: Mrs. Klug). Photo courtesy of Lucien Spittael. 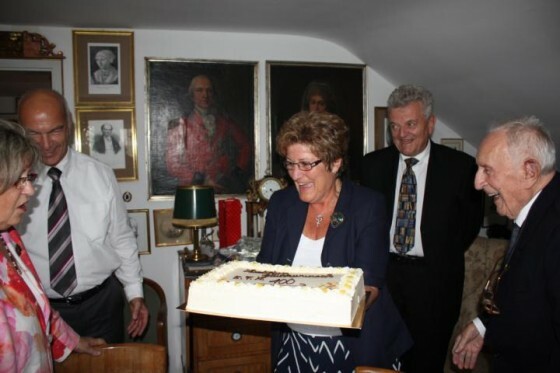 Several hours later we returned to the residence, where we all partook of a quite magnificent birthday cake, made especially for Mr. Blumentritt by a good friend, and a cup of coffee. Mrs. Klug, Mr. Klug, a family friend, Dr. Hack, Ernst Blumentritt. Photo courtesy of Lucien Spittael. Unfortunately, at 5 p.m. we had to leave Mr. Blumentritt’s house, having promised, at his insistence, to return for another visit quite soon. We arrived home safely in Belgium a little after midnight, tired but very happy to have shared such a special day with such a wonderful man. After a short night’s sleep we were on the move again, this time for our trip to Manila to attend the festivities of the sesquicentennial of Rizal’s birthday.